Upon the initiative of IDEA Public Union, another tree-planting action was held on 5 December 2015 in Baku's Badamdar settlement within the framework of the project entitled “Let’s convert every paper sheet to a leaf”. The project “Let’s turn papers into leaves” was launched on 18 March 2015 by IDEA Public Union and the State Agency for Public Service and Social Innovations under the President of the Republic of Azerbaijan. In the framework of the project, paper waste collection stations were installed next to ASAN Service centers in the city of Baku and regions of the country. Moreover, the “Azersun” company provides special vehicles for the pick-up and delivery of paper waste exceeding 300 kg. According to the project, one tree is to be obtained and planted for every 50 kg of submitted paper. So far, 150 tons of paper has been collected and sent for reprocessing, while 3000 trees have been planted in the city of Baku within the project. Carried out in cooperation with the Greenery Agriculture Association under the Executive Power of the city of Baku, the tree-planting action gathered around 100 young volunteers and resulted in the planting of 1500 trees of various species, including the plane, olive, silverberry, cypress, pine, ash, broom, oleander, chastetree and acacia. IDEA Public Union attached particular significance to the development and protection of vegetation. Thus, since IDEA’s establishment, more than 5 million trees have been planted in the framework of large-scale tree-planting actions held throughout the country. The main goal of the project “Let’s turn papers into leaves” is to ensure the preservation of trees, protect the nature and maintain the ecological balance through reducing waste of paper and promotion of recycling. 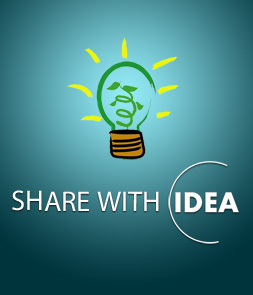 IDEA Public Union invites everyone to participate in this nation-wide project!